1. Mahim – The D’Souza Chawl – It is believed that a spirit of a deceased lady roams around the corridors of this chawl and has been seen many times near the well which is not in use anymore. People used to fill drinking water and also wash dishes from this well. Once a local lady was trying to fill water from the well when the wall collapsed and the lady fell into the well. She died immediately. Since then her spirit roams around the premises but does not harm anyone. The spirit vanishes with sunrise. 2. Mahim – Ram Sakit Building, behind Paradise cinema – There is a sealed well in its compound which is rumored to poses the spirit of a 50 year old Maharashtrian lady Sulochana who died after falling into it 20 years ago. The entire neighborhood believes she still appears during Amavasya and vanishes in the morning. The belief is said to be so strong that a person called Richard, who claims to be the landlord, carries out exorcisms of laying flowers on the well every day, to mollify the spirit. 3. Mahim – Nasserwanj Wadi – Nasserwanj Wadi is very near to Mahim railway station and is believed to be haunted by the spirit of the murdered owner who was brutally burnt to death. No local likes to venture after midnight. The locals believe that people get possessed by the spirit and are tormented if anybody crosses path with the murdered owner of the property. Folklore has it that the property once belonged to a Parsi gentleman called Nasser, who was brutally burnt in a cabin close to a well inside the compound. “The gruesome murder was committed around 16 years ago, but the Parsi landlord still takes his daily stroll over here after midnight, keeping a watch on his property. He is known to torment anyone who crosses his path.” alleged Francis, a resident. “More than seven people have lost their lives here, within a span of one year after the Parsi landlord died, so we concealed the well under a pile of rubble. But this has not really helped,” he alleged. Mahim can be easily construed as our ‘Ring’ series of horror stories. Quite a lot of wells and spirits. 4. Kemps Corner –Grand Paradi Towers, 8th floor flat jinx is known to everyone in Mumbai. Old couple, Vasudev and Tara Dalal jumped from its window to commit suicide blaming their son and daughter-in-law for harassment. After seven years, the son, Balakrishna, daughter-in-law Sonal along with their college going daughter Pooja jumped off the same balcony and died. Reports of a maid committing suicide in the same building also surfaced. There have been up to 20 cases of fatal accidents and suicides since the building was constructed in 1976. Many involving children and even a maid who either jumped or fell out of a window.” People were scared to buy that property and it has been lying vacant since then. Any buyers? 5. Sanjay Gandhi National Park – It is believed that a phantom hitchhiker stops vehicles in the late evenings for a lift. Forest guards insist it’s true. Due to wildlife, dense forest and old caves, quite possible it can be an active ground for paranormal activities. 7. Colaba – Trident Hotel – Trident Hotel doesn’t have floor number 13. Yes call it superstition or an urban legend but this commercial building doesn’t have the 13th floor. Still, it couldn’t save it from the terrorist attack. 8. Colaba – Taj Mahal Hotel – Taj Mahal Hotel’s architect committed suicide and it is rumored that since then its spirit haunts the old wing of the hotel. The architect was aghast to find that his design layout was misinterpreted and the entry of the hotel was made on the wrong side. Many guests have reported incidents of seeing apparitions in the dimly lit corridors of the hotel during the wee hours. The ghost is not harmful. 9. Colaba – Mukesh Textile Mills – Mukesh Textile Mills was shut down due to severe losses resulting from a huge fire incident. Since then this secluded and dilapidated place has become a hot spot for shooting haunted scenes in a movie. The movie artists are not comfortable working late in the evenings. It is rumored that one of the female actors was possessed by a spirit who started talking in a male voice. Food items, water bottles, film shooting gear have been ransacked on numerous occasions as reported by various film crews. Sudden epileptic attacks of the members of the film crews have also been reported many a times. It was also a hot spot of criminal activities during gang war times. Numerous murders are supposed to have occurred in the mills and the bodies disposed of in the adjacent Arabian Sea. Quite possible the spirits of the deceased and the innocent wander around this property. 10. Road to Marve and Madh Island – Staff of Beachfront hotel and locals have seen a spirit of a woman in full bridal wear who distracts the travelers on the road to Marve and Madh Island which is on the outskirts of Mumbai. She limps and screams as if in pain and when somebody goes to help she starts running fast along with the vehicle, at times matching the speed of two-wheeler or three-wheeler. She appears during full moon nights and has caused various accidents on that road. One sprinter of a ghost! Legend has it that an unknown bride was brutally murdered on her wedding night and her body dumped in the isolated mangroves over 25 years ago. The spirit is apparently still on the lookout for the culprits. 11. Thane – Vrindavan Society – It’s said that a man had committed suicide in one of the buildings in Vrindavan Society (Bldg. No.66 B). The security guards patrolling the area around have come across weird happenings since then. They have been slapped hard on their face in isolation and have been spooked by ghostly whispers during patrolling at night. Bollywood ishtyle! 12. Juhu – SNDT Girl’s college – Residents living nearby say that they hear a female teacher reciting multiplication tables around 2 am from the old ruins in the compounds of SNDT Girl’s college. This was once staff quarters. This is followed by the sound of slapping and children wailing. 10 boys decided to venture into the dilapidated structure to discover the reason behind those noises. They didn’t find anybody there. But as soon as they came back, the noises started again. Ghost of a teacher! 13. Juhu – Pawan Hans quarters – There is a century old Peepal tree, which residents claim is the home to the spirit of a 20-year-old girl called Salma who poured kerosene and set herself ablaze for no apparent reason in 1989. Her presence was so strongly felt that a resident called Anthony D’Souza, a devout Catholic, built a Hanuman Mandir to protect residents from harm after he was apparently guided to do so in a dream. On full moon nights, the girl can still be seen running, with her clothes still on fire and then she disappears into the tree. 14. 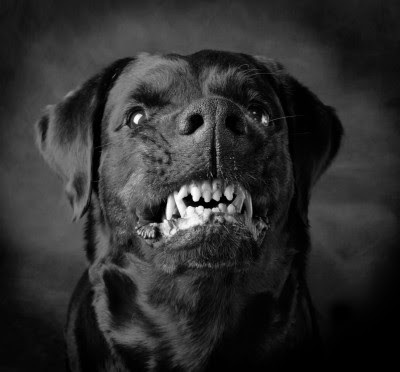 Santacruz West – After a lady apparently called ‘second floor ki Bhabhi’ by the locals (who are even scared to take her name) committed suicide after a tiff with her husband, a huge black dog appeared out of nowhere and made the second floor corridor his permanent home. The dog simply doesn’t budge from his place; he just sits there quietly. But every night, he lets out a series of low frequency howls and a veiled lady appears and strolls in the corridor. Next, the silence is broken as the building lift mysteriously comes to a standstill on the floor, as if on command, casting ghastly shadows from its tube light. “The veiled lady never harms anyone, but has all the neighbours scared to death and they refuse to even speak out her real name. You just have to be in the building at midnight to feel her presence,” said a local resident. 15. Jogeshwari – 2nd floor of a multi-story pink building is supposedly being occupied by the spirit of an air-hostess who was murdered. Thereafter, the company allocated the flat to another air-hostess. Since then there have been sightings of a weeping woman on the terrace and around the building. The sobbing lady points out towards the flat and says that she is unable to go home as someone else stays there. 16. Borivali – In the heart of IC colony, is an open garden plot (Chrib Cottage Recreation garden plot no: 13) so dreaded that no child has played here for the last 30 years. Old residents claimed that a gardener committed suicide here after fearing he would lose his job when the property changed hands. Said to be so possessive of the land, the gardener allegedly targets any child playing on the property, which is now covered in undergrowth. 17. Goregaon – Aarey Milk colony – In the dead of the night, it requires sheer guts to cross the dimly-lit Aarey Road, which connects Goregaon to Powai. Danger lurks not only from the leopards who come down from the National Park to feed on easy prey, but also from the paranormal. Old man disappearing into thin air, woman in white saree with a child disappearing, a child crossing the road and then disappearing, spirit of an injured woman chasing, etc. have been doing the rounds. Who knows how much of that is true but it certainly looks haunted in the late evenings. 18. SEEPZ – Andheri East – St. John’s Baptist Church, a centuries old Portuguese church was once an abode to the spirit of a young bride who used to torment people coming in the vicinity of the church. Just one prayer meet (mass) is held in a year. The exorcism in 1977 to get rid of the ghost was reportedly a terrifying experience for all those present that moonless night. “As the priest read lines from the Bible, we first heard manic laughter, and then loud wailing. The sobbing of the unknown voice finally stopped, and suddenly there was a loud splashing sound from the pond next to the church. Everything then fell silent. The next day, all the fishes in the pond were found dead and floating on the surface,’’ said PS Ganesan, who has recorded his experiences in his book, Ghosts, Occults & Exorcists: True and Real Experiences. The priest later told him that it was the ghost of a newly married woman who had either committed suicide or was murdered around 300 years ago. But after this, she was never seen or heard again. 19. Kamathipura – Brothel no: 25 – Kamathipura, which began its journey sometime in the late 1700s, used to be frequented by British soldiers. It was once known as White Gully, where women were imported from European countries and even Japan. Today, some areas of the 14 gullies (lanes) that make up the red light district still have the Alexander theatre and British styled villa brothels — No 25, Colaba Queens, Hotel G-9, and 007. Over here, a prostitute of British era sometimes appears to startle potential customers at night. 20. Carter Road – Aashirwad- Bungalow of late actor Rajesh Khanna was once a haunted house. It was lying empty for a very long time before actor Rajendra Kumar bought it at a dirt cheap price. He had named it Dimple on his daughter’s name. He experienced massive success and was known as Jubilee Kumar. Later, when Rajesh Khanna bought this from him, his success rubbed on to him and he became a superhit star. He married co-star Dimple Kapadia and became one of the most bankable stars in Bollywood. After 10 years of marriage, they both separated. Dimple left with her two daughters. From there, Rajesh Khanna saw his downfall. Success also left with them. He reached a point where he had no work, no fans, and not even those so-called admirers. Finally, this one-time haunted house started haunting him and he spent most of his time in his office on Linking Road, going home only to sleep in a tiny bedroom in a corner. The story took a bizarre turn when he first fell sick and then never recovered. He died in 2012. There are several other paranormal sites across Mumbai. Especially people who died under the wheels of a train haunt railway stations and bridges. Byculla’s S Bridge is haunted by a man killed there. Stragglers at Kurla station say that after midnight an unknown presence taps them on their shoulders. Crossroad next to the Parsi Bhika Behram Well, between Churchgate and Flora Fountain is said to be haunted by an unknown presence too. Tower of Silence, on Malabar Hills evokes fear as dead bodies are being fed to the vultures under Parsi ritual. Juhu locals claim they have heard ghostly sounds from a forsaken bungalow on 12th Road, Juhu. The bungalow is still unsold. This is just a listing and Mumbaigloss should not be held responsible in any way about the authenticity of the reports. These stories might be true or untrue but certainly there is an eerie feeling about these locations. Times of India, Times of India, CNN, Daily Bhaskar, DNA India, Paranormal Research Society of India. Tagged Haunted places in Mumbai. Many people have seen a lady walking on the streets near Johnnson & Johnson signal in Mulund. Apparently she was killed there many years back. A woman who fell off from the 2nd class ladies compartment in Mumbra creek is regularly seen in the train. Yes Deepa i also had experience of lady walking on road opp to johnson & johnson co. Mulund. I stay in Mulund only. One more place identified in mulund West is One under-construction bldg at starting of Cypruss. From past 15 years its closed in between. yes , deepa ji ….. the lady fallen in mumbra creek is seen mostly in night in Karjat local . her name was . . Mandaa Patankar . i too travel daily in karjat local..
i hav seen 1women chatng bt wasnt knowng abt this story..
Hey… I daily travel between bhandup to dombivli but I haven’t experienced anything in mumbra train yet… 🙁 very much excited to experience. I know cos I have worked in Midnight Shift in Belapur CBD in Wipro BPOS, several times, Lift goes upto empty 6th & 7th Floors even though there is nothing there……….Sum1 Calls for Life but vanished when Lift reaches there,,,,,,,but who will play in this way such tricks in pitch darkness?? at 3:30 AM ??? Its TRUE about Johnson & Johnson road. My dad n many of his relatives have experienced the same thing many times. One of my friend’s dad who is a school bus driver had given lift to a lady, who disappeared from his running bus after sometime. It did not harm but he got afraid n became badly ill. When he recovered, he told us the matter, n now he never visit that route. Good read. However, I would like to comment that most (if not all) hotels do not have a 13th floor. Likewise, they also do not have rooms with the no. 13. But thanks for the article. Being a Mumbaikar, you can identify with these places. Sorry Pranali but this image is all over media as Vridavan society Thane.Can you help me with the right one? Thanks. The Behram Kua between Churchgate station and fountain…. list goes on! Lol, Jivesh Terraces isn’t haunted. Though it does look Eerie at night. I had a scary experience.one day it was around the Independence Day. .i had gone for a visit to my relatives .and while returning it was a bit late.next day we had to go to matheran.it so happened that in a rush I happened to totally forget the packing.so I said I will go home and get packing. I did get home but I still can’t dare think of it.it was a scary feeling I had started from matunga west to take a train back home.now the only option for one to be able to take the cr train back to mulund was to cross the z bridge.though it was bit early,like a little after 530 as I was crossing the z bridge .it was calm in the start a little later I heard such noises I just ran for my life as all the time I got someone was constantly following me.though I saw nothing visible other than me and lights on the bridge I just saw only one man and he too vanished.but the most scary thing I heard out of world voices chatting loudly on the bridge and they were speaking as if they had company from under the bridge where there is cr matunga workshop I heard very clearly there was sound but it was all inhuman and finally came the horrendous laughter as I started to rush luckily I managed to run out of the bridge just over to the platform it then I realized that it just passed me I just wanted to say the z bridge is haunted I am not joking I am lying and Yes Please note Please note all the time as I ran I noticed I just kept running I mean the end though being near it seemed like the length of the bridge won’t end I said the Hail Mary prayer and that was when I happened to sense the invisible hands all hugging my feet preventing me from crossing the bridge as if they wanted to stay there. Suddenly vanished from that day no matter how late it is I advise it is better to avoid the bridge after 10pm strictly I remember I saw a man twice cross my path before I felt the hands and the bridge end being as if being farther and farther from me compounded with invisible hands and the horrible laughter with the sinisters oration across the two sides of the bridge. In another incident when I was waiting to take a train from curla or kurla on the cr main side I was standing on platform 1a. And I was not aware I just visited the loo there I mean the urinal for gents it was eerie just brushed off that thought. Tell u what I was already worried since I learnt one train cancelled other likely shifted to the fast line it was late too late for me to catch that fast train so hoping I wud get the next train slow local ofcourse just wondering just then someone tapped on my shoulder now let me remind u there was hardly anyone there on the right side where I was standing though there was an out of use room that had dilapidated in which one the stn master would have used long back and later it was a temp morgue for keeping the bodies of people run over by trains though it was atleast twenty thirty ft away I just didn’t bother as I was waiting for the last local and that’s when that thing tapped on my shoulder. Now this was ridiculous becos on my left stood a man or two but they were well advanced and to me and viceversa — strangers totally. There wasn’t anyone mind u for that reason on the right side of me. Somehow my soul did feel that it wasn’t human. Some months later many people started reporting someone did tap their backs and when u look to check who is it u find none now it has happened with guys I don’t know abt girls. My dear people I have true accounts to share I sincerely wish to tell those who care enough to be careful and thus wise try to learn a thing or two I am not lying it has all been my first hand experience. From this let me tell you as my grandpa was with Indian airlines it was a customary practice to take staff bus to the old airport from just outside kurla stn west side. It so happened he once was being sent on some official work to Delhi. So he decided to meet a friend of his while on the way to take the flight. U might be surprised how old airport. My dear in those sahar airport was scarcely used except for international flights and the present day international airport was under construction. So my nana and family go visit the concerned. But before that in kurla that is just somewhere where u see the present day kurla yard and workshop they all saw a dark figure walk on the electric pole lines and as that sinister entity stomped spArks were emitted every step of the way. That day the whole compartment people were abuzz with fear some with surprised and most just watched while turned their gaze away the reason becos the place where this happened always had the trains wait for signalling. As this happened in 1967 it was a big buzz then as many people preferred to stay away frm kurla as it houses most if its housings and commercial spaces of today are built on plots of scores of cemeteries that once kurla consisted of mainly Jewish and muslim cemeteries also there were many Shia and bori cemeteries today what u see kurla is all changed but kurla has a dark history of being the storehouse of cemeteries in last century during the world war first many people were buried in many Inidentifiable places of kurla And on that todays see the new settlements of yesteryears and present day. What say —-think twice before investing in any place. Regards thank you all for reading my blog. Hey deepika…I graduated dis year from ruparel college…plz tel me the story that hav heard about ruparel college..
Hi, I too am an ex-student of Ruia college, batch 2000. I wasnt aware of the common room haunted until you mentioned it here. But once when I was changing there, in a box like store room in the ladies common room, even in bright daylight, I feared something, felt someone’s presence there and rushed to get out ASAP. That eerie feeling I can never forget. But I dismissed the fear until you mentioned it. hey how did u got this info.? St. Xavier’s High school fort I graduated my SSC from there having spent a decade in that school I can tell you that my personal experience has been quite spooky it could be due to the architecture itself or reality but whatever it is its is quite disturbing. And my second experience was in my management school i.e. Rizvi college of hotel management and catering technology being actively a part of the bakery I have spent long night in the college to have calls form weird extensions and heard stories of faculty endorsing facts about unnatural phenomenon. Really man… Even m from the same college though never experienced anythg of that kind… neither heard about…. OMG rizvi hmct was haunted…..2011 pass out.Tell the inside story about the bakery room plzz plzz ,is it 2nd or 3 rd floor bakery room ur talking abt? Hi, I passed out in 1991. Which year did you mate. Tell me more about St Xaviers. Keep in touch. Cheers. Don’t you that area has a lot of haunting. Just on the rear side of that college is a Hindu cemetery. And on the juhu garden side there is that sndt community hall with two cemeteries bang opposite to it .one of which is a muslim where madhubala the actress is buried also meena kumari and kamaal amrohi Are interred there. The Taj Mahal Hotel was not built the wrong way, neither did the architect commit suicide. In fact it was meant to be built exactly how it is. And after working at the property for 3 years I am yet to find a resident guest complaining of ghosts. So I think you can scratch that off your list. Most of the buildings in Malaysia doesnt Have floor 4 and 14, Instead they make it 3A and 13A, because chinese believe its unlucky numbers of death. So if they make this floor number 14 and 4 nobody will stay there. Its just the owner of the building dont want floor 13. And that train lady story is quite interesting. Hate to break it to you but your dad was just scaring you. Yes, the Taj Mahal Hotel was built the wrong way. The courtyard of the hotel was supposed to be facing the sea, and not behind. This error happened because there was no direction given on the plan and hence it was built the wrong way. How is a MISSING 13th floor an haunted place? Shouldn’t a place EXIST in the first place for it to be haunted. I HEARD ABOUT TRIDENT HOTEL AT COLABA ND IT TOO DONT HAV 13th FLOOR , BUT ME ND ONE OF MY FRND HAD COUNTED THE FLOORS THRICE ND WE SAW 13th FLOOR BUT THE WINDOWS OD THE FLOOR WERE COVERED WID BLACK CURTAINS……IF SUM1 HAV MORE INFO ABOUT IT PLZZ SHARE WID ME…. hey guys…. this all stories is really interested. but i never experience. I dont know about other places…. SNDT juhu is definitely not true. Some thing is definitely der which i hve felt with my personal experience, i was working with a 4 star property in malad -madh in night shift, der i was in the room service department. The hotel was less occupied and no room on 4th floor was occupied by any guest, i was a new joinee in dat hotel and i was told before itself by my colleagues about roomno 421, like every year during fullmoon days and amavasya we get a call on the front desk or room service, and the same thing happened with me it was morning 3.30am, and i got a call from room no 421 as it was night shift i was little bit sleepy and so it didn’t clicked me about the past, i wished on the phone said hello how may i help u twice but no body replied, immediately i looked for the family name who is staying in that room and found that it was VACANT. Nice Article, would surely give goose bumps to some. Might have to check out some spots myself! Parimita you don’t seem to be a native of Mumbai. You’ve used a photo of Air India Building instead of Trident Hotel, Marine Drive. Might want to change it. This is a good read. But with no offence meant, I had read a similar article on yahoo a couple pf months ago. Can not recall of the words were identical, but surely covers the same spots. The story of family jumping in kemps is very much the same if I remember from the article correctly. Yet again, not too sure about the wordings. Rj resources have been mentioned below the article. These listings are from various sources like Dna,Times of India, etc. Rahul this is a list. Sources have been mentioned below. You decide if its fake or not. The article is intrsting..more than a real i like to read it as a story..and there are good content to develop many stories for movies too. Im stayng in aarey colony and i traveeld throught it diffrnt times at night but i never experienced any thng more than the cool climate. HI Deepa..very interesting story. I would like to buy the book ‘Ghosts, Occults & Exorcists’ which is mentioned in the article but am not able to find it online. can you help me with the contact of PS Ganesan or guide me where i can buy a copy. Thx. LOL Vrindavan society in Thane is by the Arabian Sea? Also lot of these stories sound like pure rumours. Only places are reported over here.. but fact is .. they are all around us.. as in where ever we go spirits are around us.. some can express their presence .. fortunately all cannot… if that happens it wont be a peaceful environment.. There is also the story of the Haunting at Band Stand; The Band Stand Fort was a site for Portuguese Inquisitions from 1500’s where people who refused to convert to Catholicism were tied to cannons and fired into the sea at the Bandra Band Stand Fort. There were similar stories of major atrocities from that fort; That has lead to a constant Haunting of that area and any establishments in that area are extremely Jinxed. Hotel Sea Roack and Taj Lands End being one of them: The Family that owned Sea Rock hotel went into a lot of disputes; there were stories of Hauntings from the patrons and finally there was an Hindu Exocism conducted there which allowed the family to sell that property after years. Another Story is of the famous Club Aquaria in Borvivili West. A top developer of Mumbai acquired that land and created a plush club project there; That place didn’t take off and the guards there kept complaining about being pushed in the Night; the Elevators malfunctioning all night long and new Light fittings flickering in the passages late in the night. The Developers fortunes were also not doing very well until they performed a puja there and established a Shiva Temple at the entrance of the establishment which is still present for the Jinx to subside. You do realize there was a bomb blast in Sea Rock back in 1993, right? Which completely damaged the building to the extent that it couldn’t be repaired without demolition. Really interesting read. Thanks for putting this together. Bombay does have such a rich history that these stories just validated. @MUMBAIGLOSS you can see Vrindavan society (Thane) in the Bollywood movie ‘Rocket Singh Salesman of the year’. The residential complex in which Ranbir Kapoor’s character – Rocket Singh, resides, is Vrindavan society in Thane. p.s: i know this coz i stay at a five min drive from this place. Its in Malabar Hill behind Hanging Gardens. Very informative article. I feel we live with live ghosts around us who are more dangerous and harmful. I don’t refer this to all individuals. Well to be true I can feel presence of spirits arnd me when I’m near Malwani Charkop naka (Malad W)..
Anyways it is a 1 time read, good job! The picture you have mentioned as “D’Souza Chawl, Mahim” (Pic no. 1) is not true. This picture is from Khotachi Wadi, Girgaon (Charni Road) I know because I am staying in Khotachi Wadi only. Good Read. Can you do an article for other places around Maharashtra ? I work in Seepz and people are still afraid of going there after dusk. As a matter of act there are many units within Seepz that are pretty spooky. Especially one of the trees in front of our unit. I found a black agate stone there too. I am a ghost hunter myself. I have been in Mumbai for the past 8 months. I must say that this list gives some new locations worth checking out, not without caution, though. I have been to some of the places mentioned above but had no luck with ghosts. 2. Towers Of Silence- I went here along with my friend at around 10 p.m. we were guided by our trusted GPS. The only way we knew that we were anywhere near the Towers was when our GPS showed us to be near them, not at them. This was also complemented by a pungent smell emanating from the other side of a very high boundary wall(The wall is natural and made of rock. It was laid down after cutting through the hill). Also, we did not notice any kind of entrance, or sign telling us about the towers. In fact, given that the place is sacred for the Parsis, only Parsis can enter the premises and ghost hunting at a sacred place would not be welcomed anyways. But we still waited at the “pungent smell” spot to catch any sound or any activity for about an hour helplessly. Hard Luck. 3. Jogeshwari- “second floor wali bhabhi” and “high rise pink building” turned out to be too vague to pinpoint the location of this haunted spot. So, i never found the spot. you are absolutly right above articles are fake.i also went to dsoza chawl but no one knows about desouza chawl.there is no ghost exist in world its just timepass. Hi MumbaiGloss, it was nice to see some of my news articles regarding Mumbai’s haunted places in this blog. I had earlier visited the St John The Baptist Church at SEEPZ and photographed that eerie, crumbling structure. But it was nevertheless a good experience to hear it from the horse’s mouth, Mr Ganesan, who had personally witnessed the live exorcism way back in 1977. Cheers, vijay. Thank you Vijay. Your article is mentioned in the resources and I am glad that people like you are keen on off beat journalism. Stay in touch. Really fascinating expereinces thanks mam to let us know the haunted places in mumbai.But can you help me have you ever experienced any ghost around you or seen someone. I have exp ghost presence near me. Its just 12 months from now. I have faced 2 accidents very next day. I am facing a lot till date. Believe it or not, Mulund West jhonson & Jhonson is haunted. I was not alone that night when i got some bad exp of spirit. ppl who really wanna knw about that night can ask me on call. I am ready to share my exp. 982129817 whatsapp/call. Biken Pasad Facebook. very true,there can possibilities of spirits on earth. I have heard stories,watched horror films but never seen a ghost. there will be spirits and ghosts till the world ends. This is a fine article and a compilation. I strongly believe that spirits do exist and it’s an unexplained phenomenon. In Shivaji Park, Dadar is the Mahatma Gandhi Olympic Swimming Pool at Cadell Road (VS Road), formerly there was a staff quarters located at the back of the Swimming pool, now demolished after the renovation of the pool. According to the staffers who used to stay there, on every Amavasya & Poornima nights one can hear sounds of people jumping in the pool, chatters and water splash sounds. When the pool waters were completely still at night that time. According to them this was because some people lost their lives in the pool whilst swimming due to heart attacks etc. Even the locker section of the old pool is supposed to have been eery and damp at times. Why is it that these so called GHOSTS…(I don’t believe in)… Are always seen in Purnima or Amavas ? ?… Any special stuff ?. I’ve also heard about some paranormal activity in Powai Hiranandani… in IIT colony. Dunno about that one. Because on these days, the earth’s energy levels are high. You may have heard that new moon and full moon affect people with mental disorders highly than on any other day. Learn more about gravitational force and its effects on earth. why all (99%) ghosts are said to be of females???? Because females r soft targets.. N they hv strong will to take revenge.. Henceforth only female ghosts r witnessed 😛 Just kidding.. This got me frightened! This is a great post btw. I studied at st. Teresa’s high school, girgaon. My 2 friends heard some sort of noise familiar to our librarian (who died around 5 years back)from library during preparation of our annual day 2 years back… actually after her death no 1 was appointed to the manage library and she was very fond of her job…. U r ryt megh, its all dat how utakd it…infct wen i was wrking near chandivali i hve been many tym to d same route, u do get scare bt its all abt ua mind wat u thnk…. U can visit to Malawani 7 number Malad west there’s a tree there which is captured by a head less ghost..
1 of my frnd teased the ghost & the consequences were dreadful..
Are u talking about area near malvani bus depot? Guys der might b ghost or it might wont b der…. I hve been helped by a woman n a man, i cant judge it but it seems dat dey wer husband n wife…i wer coming all d way from gorai to my plsce whch is in bhayander w, on my bike.. N suddenly my bike stopped..due to my ignition issue, i jst thought in my mind dat, ineed somebody to push my bike from bck so dat i put gear on pressure n start d bike…suddenly a man n women CAME N dey wer walking on d same lane..wer my bike was stopped, dey crossed me looking at me said nothing, i call dat uncle n ask him to hlp me to push my bike frm bck so dat i do dhakka start…he said ok..he will hlp me out..n he gve a push n in lyk 3 to 4 seconds of push i started my bike n wen i turned behind, der wer no 1 standing i got afraid…but after a second i thanked to both of dem n left..n wen i was riding..i felt some weight on my bike i turned behind but dnt knw why my bike was began heavier..after 4 to 5 mins of driving again my bike gets stopped n now i thought, whose gonna hlp me i found some 1s hand on my head… It was weird u can say dat… I was totally insane i thought today m gone but as i kicked my bike, i dnt hw it startef i thnkd to god n i left from der n came hme @ 4.15 frst tym in lyf it took exact 1.45 min to cme bhy from gorai rather than it is only half an hours route…from dat day i believe no spirits o u csn say hawa is harmful…its jst dat dey r trying to convey domething in whch v get scare..
Great to read this articles can u plz post more articles . It’s okay to read this as fun! But I suggest the author (dear Parimita jee) not to encourage people’s superstitions. I am born in Mumbai and have stayed in Mumbai for all my life, with plenty of friends living in almost all the places mentioned here. There are no ghosts and no haunting, people just use this for their “Katta” discussions, no sense in believing in all this. If u dont believe. Don’t believe.But dont say they doesn’t exist. U might not want experience it. Check this article about Ghosts on the Official Website of Maharashtra Andhashradhha Nirmulan Samiti! Very interesting one to read. I think i have a list of places to visit now. @shahrukh khan I have also heard the same thing of Air India hanger also the air India finance building and the canteen of air India at OAP is haunted. I know this because i work for air India and also have night shifts. The security guards had several times experienced some paranormal activity as though somebody is clapping or someone is behind them and even as though someone is pushing them. Other than the guards some people have also witnessed the same events in the finance building of Air India at old Airport(OAP). almost forgot… 1st floor above the baggage area where we have our meeting rooms is also haunted… the story behind it is that there use to be a currency exchange counter there and it caught fire and the whole thing burnt down, now the claim is that there was a woman and her child who were flying tht day and they were at the counter to get their currency exchanged, apparently they were also caught in fire and burnt to death and no one saved them… it seems that the woman was shouting out to other ppl to save her and the child but no one had the guts to enter the plot which was burning down and so the lady and her child passed away… now we hear the sound of lady calling her child and sometimes we hear running footsteps ( must be of the child)… also we had a Father from the church to bless the place and He said that the lady would try to harm any men… now recall my statement where i said that my frnds are being held up right infrnt of my eyes… well this is what i am talkin about… my frnd and I were taking a nap during night shift and there were other ppl as well and suddenly my frnd caught is own neck and struggled to open his eyes… we cud nt understnd wht is happening den we all had him released and threw water on him thts when he woke up and said tht he cud nt shout or open his eyes and someone was choking him… the same thing had happened to my seniors as well who are working here since a long time… now this is the reason none of us go up to sleep during nights… if we go up then we make sure we are awake….!!! Guys, I have only heard the stories but have never ever experienced such a phenomenon. would love to witness one. I neither experience God nor spirits of dead ones! :( Some say ghosts never appear to those who don’t believe! AAhha .. You covered most renowned places but I think there some more places which you need to be cover.Hope you write one more article on this issue..
BTW congratulations you article is going viral now. All stories are just a fake stories. Reason-1; Soul after leaving biological body can not stay longer at one place due to electromagnetic forces and gravitational forces applied on it. Reason – 2; Soul after leaving biological body can not speak as it speaks as biological body. Reason – 3; Soul is made of God Element, that is why it is said “Atma so Parmatma” it has property to flow free in the universe and it is lighter than light particle, but it is surrounded with gravitational matter, so it gets attached with biological body due to electrobiomagnetizm of biological body and continue remain attached due to continuous generation of electrobiormagnetism of biological body. But, when biological body is decayed or burnt after death, it does not generates any further more electrobiomagnetism and thus soul can to stay at a one place for a long time after its biological body is destroyed. Moreover, soul does not speak anything, it is the electromagnetism, which creates noise some times like screaming. So, some time, if someone says that, he/she has listen screaming noise without seeing anybody or any object, that could be possible due to some electromagnetism, may be it could be electrobiomagnetism. So, please live a life and enjoy it without having such fears in mind. dont dare talk bout things like this on the forum..u never know when u r targeted. Whom u r sleeping wid, eating wid, talking to may turn out to be a spirit. Point no. 20. Rajesh Khanna’s wife’s name is Dimple and daughter’s name is Twinkle. I’m not sure what the name of the bungalow is but thought should let you know. One place i can Guarantee, of being haunted is in Borivali and besides Karuna hospital, its the most disgusting looking way old building that has a total negative vibe, even when u stand outside its gate.. I borrowed the EMF reader machine that a friend has and went there the second time, first time i went in to the ground floor at 2am at night i fell sick straight away for a week, it was a challenge that i gave up coz i just didnt feel right when in it. . the second time with that machine i just put my hand through that gate and it went from normal to high counts in not even a second . .
Guys u believe in it or not, but do not mess with it . . let them be . . no need to cross there path . .
You missed Aksa Beach at Marve. I have been there for a jog at 5 o’ clock on a chilly winter morning and seen a black shadow walk into the sea. The beach was completely empty, except dogs howling nearby. Hey the photo used for vrindavan society is wrong…… Btw it is brindaban society…….. I hv stayed there for almost 20 years and have never ever had such kind of experiences…… Its a huge cluster of 100 odd buildings located near thane creek. It was very entertaining to read the list…. I can understand if u call these places spooky…… But please donot say there are ghosts….. Lets put it as negative energy instead of spirits and ghosts……..
Hello All! i Have also seen & once experienced the lady follow me at J & J in mulund during late nite. I can never forget that day yet. See guys it wholly depends on how u look at it ,I read all the above and agree that those who are wise better take care . A spirit does exist. It is still a person with lots of pentup emotions u know think just think many Of us are of the thought that u must not give up this is all fine until u can move ur body but tell me are there people who can move it post the end of the physical self.that is impossible.as we all know death comes without any notices therefore many who are taken away suddenly still have their wishes and needs to be fulfilled it can be a simple wish from say when will get a seat in my favorite college to a lover waiting for a yes from his or her beloved to a sick person awaiting to see some good happen to his or her family members from a mother in law expecting when she wud see her va sha increase to a employee whose promotion was expected but imagine when all of the above suddenly die without their wishes fulfilled that brings the past back into the picture into the oncoming present at in many cases if ignored into the near and distant futures my dear readers especially to those who say ghosts don’t exit let me tell u look at the hillstn in West Bengal s Darjeeling distt the name is kurseong hill.second example,how many of u can dare to go to matheran’s panorama point in the hours before sunrise if u are unaware please know it was once famous for being sunrise pt but today no one not just the village folk but the USA Australian Canadian European tourists just avoid the matheran’s panorama point. Note one thing it was someone ‘s private villa if u go to its back and on the hill there itself u can see the bewitching fountain I have sworn I will never go there after the haunting from there came to my cousins main door my cousin was struck with fear and shock and surprise becoz the wooden door shook at three am in the mid nite but the iron safety went untouched by the ghost please bear in mind be respectful of the dead do not play with them and do not ask for their personal help never tease them do not mock them they can be very angry and can hurt u in multiple ways but if u pray for the they can help u this is my personal exp and there was some blogger saying why amavasy and pournima. Are days when ghost sightings are common becoz the. Moon is a world in herself yes it is a shelter for the spirits of the dead when she meets her husband The Lord of light in the day or when she stands in opposition to him. She definitely has powers of challenging the rational human perspective and her husband is the Sun feel free to know more on the parallel world to the world human. Society on dadababuli79@gmail.com thank you for reading have a blessed time ahead. the second image is from Khotachi wadi , charni road definitely not Mahim . anywho , interesting stuff . there are many ghost in that buildings just experience them!!! Now toh even ghost dont have space left in mumbai….and if they are still ard….they’ll fall in one of the potholes….however nice read the artical was….i read stories….would want to experiance one …any ghost meeting trips or groups?? I m also not believe on gost or soul but last month i was feel that if god is available so gost why not. There is some energy which is surrounding between us some one feel some one not… My anti is suffering last 4 year that’s gost matter. She is normal house wife, well educated, but some one soul try to enter his body and she lost the mind control… When i saw that seen i feel very bad but i don’t know what can i do… We going to Darga Also but problem is not solve complitly..
Now i m trying to find some one who help me so i m trying to find gost who help me.. So any one know about any hunted place except above place please let me know,…. Ha ha… Nice post. its very interesting to read. Thanks for sharing this. Deepika thanks a lot!! !I like to read these types of articles very much.It helped me a lot. True or False, Fake or Not Fake does not Matter…..
wat matters is Do u beleive in it or Not??? thanks to the editor for bringin this info on the blog…. only keep one thing in your mind..
Hum ne kisika bura nahi kiya, bura nahi socha to hamara bhi bura nhi hoga… agar sprit actual me hai to i want to talk with them… unki bachi hui khwaish hum puri karenge..
Guyzzz would u tell me any Haunted places in Mulund west Except J n J compny…. I don’t believe on Ghost and God!!!! Jar akashatil graha tare aapla future tharvat aastil tar aaplya menducha ani mangatacha upyog tari kaay??? i juzz dont belive in all thoughs hauted places bt if there is any historic haunted places tell me on ma gmail ill visit over there…..
i wana watch d ghost but i can see pls tell me how do dat i m live in nerul pls tell me i m to exited yar……. I enjoyed the article it was a fun read, I don’t know what to believe but I did drive through Arrey colony some years back and it was Scary I did not see a soul all thru. It was pitch dark only my headlights .That was the first and last time I drove thru at night. Its a very good artical and frankly i loved it alot. Good research as many of the stories i have heard too. If there is Light so there is also darkness so if there is god then evil also have to be there. I have experienced lots of ghostly or you can say paranormal activities. As an hobby i have learned hypnotherapist, Reki, WICCA etc etc so things like this is not new for me. but appreciated this artical very much. Atleast i beleive about the scary road betwn marve n madh as i hve seen her disaprd n ths was before dana pani beach…who ever shared their exprnce thnks as this is to alert ull…rest is up to ull..
Another haunting story about ” teen mundi wali bai ” was buzzed around way back in 2001.
you know what happen???????? we can’t face this story……but when we face that….hummm……..we belive on that………some time it’s game of your mind……and some time it’s true in your life. Hi everyone good to see so many ppl with common intrest I hav been searching for haunted Plc werver we traveled…iam from mumbai..so things which I experience about aksha beach road..is from last 7 years I hav seen accident 6 couples in front of me..nd the strech wer I seen it is after the last gate of ins hamla till before aksha beach temple comes till thr this strech is dangerous specialy if ur cpl..so be careful. Anyone really interested in seeing the ghost let me know. Hello,friend,i studied and gathered some information from various books which i put in front of you.If you believe in ghosts, you’re not alone: A 2005 Gallup poll found that 37 percent of Americans believe in haunted houses, and about one-third believe in ghosts. Tens of thousands of people around the world actively search for ghosts as a hobby. Researcher Sharon Hill of the Doubtful Newsblog counted about 2,000 active amateur ghost-hunting groups in America. ghost in woods Ghosts have been a popular subject for millennia, appearing in countless stories, from “Macbeth” to the Bible, and even spawning their own folklore genre: ghost stories. Ghosts are perhaps the most common paranormal belief in the world. Part of the reason is that belief in ghosts is part of a larger web of related paranormal beliefs, including near-death experience, life after death, and spirit communication. Personal experience is one thing, but scientific evidence is another matter. Part of the difficulty in investigating ghosts is that there is not one universally agreed-upon definition of what a ghost is. Some believe that they are spirits of the dead who for whatever reason get “lost” on their way to The Other Side; others claim that ghosts are instead telepathic entities projected into the world from our minds. Still others create their own special categories for different types of ghosts, such as poltergeists, residual hauntings, intelligent spirits and shadow people. Of course, it’s all made up, like speculating on the different races of fairies or dragons: there are as many types of ghosts as you want there to be. There are many contradictions inherent in ideas about ghosts. For example, are ghosts material or not? Either they can move through solid objects without disturbing them, or they can slam doors shut and throw objects across the room. Logically and physically, it’s one or the other. If ghosts are human souls, why do they appear clothed and with (presumably soulless) inanimate objects like hats, canes, and dresses — not to mention the many reports of ghost trains, cars and carriages? Other people take exactly the opposite approach, claiming that the reason that ghosts haven’t been proven to exist is that we simply don’t have the right technology to find or detect the spirit world. But this, too, can’t be correct: Either ghosts exist and appear in our ordinary physical world (and can therefore be detected and recorded in photographs, film, video, and audio recordings), or they don’t. If ghosts exist and can be scientifically detected or recorded, then we should find hard evidence of that — yet we don’t. If ghosts exist and cannot be scientifically detected or recorded, then all the photos, videos, and other recordings claimed to be evidence of ghosts cannot be ghosts. With so many basic contradictory theories — and so little science brought to bear on the topic — it’s not surprising that despite the efforts of thousands of ghost hunters on television and elsewhere for decades, not a single piece of hard evidence of ghosts has been found. Many people believe that support for the existence of ghosts can be found in no less a hard science than modern physics. It is widely claimed that Albert Einstein suggested a scientific basis for the reality of ghosts; if energy cannot be created or destroyed but only change form, what happens to our body’s energy when we die? Could that somehow be manifested as a ghost? The evidence for ghosts is no better today than it was a year ago, a decade ago, or a century ago. There are two possible reasons for the failure of ghost hunters to find good evidence. The first is that ghosts don’t exist, and that reports of ghosts can be explained by psychology, misperceptions, mistakes and hoaxes. The second option is that ghosts do exist, but that ghost hunters are simply incompetent. Ultimately, ghost hunting is not about the evidence (if it was, the search would have been abandoned long ago). Instead, it’s about having fun with friends, telling stories, and the enjoyment of pretending they are searching the edge of the unknown. After all, everyone loves a good ghost story. A well located behind U.P Nagar bandra west is said to b haunted.It is said that many people’s committed suicide in the well. Many people had sawn ghost apparition near the well at night she wears a white Saree and with her hair all around it is also said there’s a god name kaprebuva he guards the houses behind the building he comes on a horse the ones who comes in his way he keeps them aside 2wice the 3rd time he throws em. And there’s one more place at mehelsingh compd where a lady burned herself coz of the torture from her mother in law people often hear the voice at night of ankle bells she even chases people at night no one steps out after 12 there are some incidents of banging the door and hearing painful voice of crying at night trust me u should visit once the scariest place Eva in bandra!!! Each haunted places with more details..
Topic number 12 of Juhu SNDT University is absolutely True.. I was the 1 along with my friends.. I stayed in a society Located just next to the compund of University.. Walls just gapped by a Huge Drainage Line..
We used to play Cricket in Our Resident’s Ground. As we ended our play..it was time of bonfire and stories came up from all..
And then We decided to Check the Matter and take a look what’s wrong there..
Few buddies didn’t agreed to move in..then we were finally 8 not 10. It was almost a week this thing happened continuously.. The Moment we ventured into the dilapidated structure we didn’t found anything.. But we felt like Something ran so fast nearing us..and as we were unable to see anything So fast..
We moved on…But then suddenly a friend got pushed so hard that he fell on ground..
And later there was a Loud Scream of Strange Voice..Very harsh..Very Rude..
That very moment we ran, we ran so fast..
We all don’t know how we came crossing the difficult way of Climbing boundary wall, crossing drainage line over a single pipe..
After that incident, i fell sick for 3 days..
Not only me, almost all were down with sickness. 8 years passed by, Even now i can Imagine that very strange voice..
One of d most haunted place in south mumbai dat u guys may not knowing is MASINA HOSPITAL, byculla.. u can even say dat no other place in mumbai is as haunted as dis one. Pingback: 10 Most Haunted Places In India ― You Must Visit!